Plus insider perks & up to $780 in Resort Credit! Book your Sandals® Honeymoon with Honeymoon Expo and Receive a Romantic Dinner on the Beach. Paradise Is Calling. Will You Answer? There are few places on earth more intimate and romantic than the picturesque beaches of the Caribbean. Come experience the very pinnacle of luxury Caribbean all-inclusive vacations with gorgeous tropical settings and some of the world’s most exquisite beaches. Do you want to spend your honeymoon in the vibrant blue waters of Aruba? You can tie the knot on the fine sands of St. Lucia when you work with the Honeymoon Expo Center. Get started on your beach side adventure when you call us at 201-880-6838. Surrounding areas like Paramus, NJ & Bergen County, New Jersey can also use these services. Servicing nationwide, Honeymoon Expo Center can fulfill any request. Let Our Travel Experts Guide the Way! Whether you know exactly where you want to go or need some inspiration, Honeymoon Expo is here to guide you, and to create a journey that will surpass your expectations.With over two decades of travel experience our team will guide you through a specialized romantic getaway, fun filled family vacation or the adventure of your lifetime. You can count on Honeymoon Expo Center to help you plan a picture-perfect getaway. 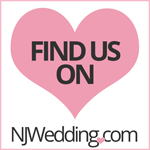 Whether you live in Elmwood Park, NJ or in the surrounding areas, we are your local travel experts – call us today!